In case when you walk through nature you happen to stumble upon a sculpture made of balanced rocks, it probably means that Michael Grab was there, or that he is still somewhere around. Because, as this unique author explains, after he finishes with his rock sculptures, including taking photos, he destroys them, “leaving no trace.” Making some of the most ephemeral of ephemeral art there is, Michael Grab started his journey in 2008 when he created first stone sculptures. Seeing the effect the process of creating his rock sculptures had on him, but also on the few lucky viewers who happen to see it, Grab continued his practice, and is active today not only in his native Canada, or America where he resides, but also around the world. What Grab observed surpasses the mere aesthetic indulgence in unusual forms he creates, but is a much deeper sense of peace and magic his art seems to instill. A sense that anything is possible stands firmly at the core of his work; the idea that we are not just mere objects in a given reality, but that we can also actively participate in its creation. 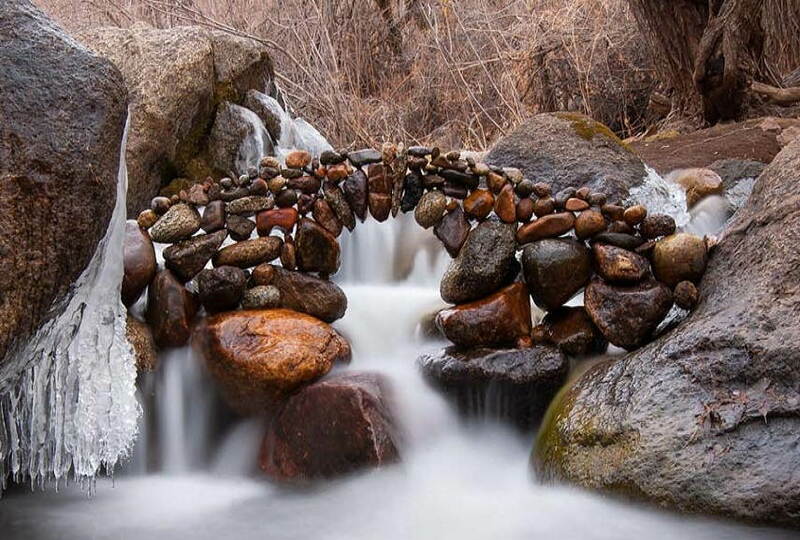 His practice does not require much regarding material or space – it is a serenity of nature in harmony with artist’s mind and found rocks from which his art is made. Observing his practice as a meditative process, Michael Grab’s creations are both visually stimulating and intriguing, but the process of creating them has equal importance. This even more so, if we know that Grab’s creations are not made to last. Similarly to other forms of art that depend on photography for a trace of their existence or happening to be preserved, so is the case with rock sculptures Grab creates. Difficult to define, Grab’s work combines the elements of performance and Land Art but with emphasis on meditation that is behind them. Two main aspects define the success of his endeavor. First, as balance depends on three contact points, the rocks and stones he uses need to have enough indentations or protrusions, and second, his state of mind needs to reach the zero point of silence in order for his hands to perform the balancing act. Action painting and the importance of gesture also comes to mind here, as Grab’s movements, steadiness of hands but also environmental factors all affect the successful creation of his sculptures. For the interview with Widewalls we asked Michael Grab to elaborate more on some of the fascinating aspects of his creative process, to compare his work with more traditional art practices, but also to reflect on the ephemerality of his work, and his relation to art market. Widewalls: Thank you for accepting to do an interview with us. To start with, could you tell us something about your practice? How would you define what you do? Michael Grab: Stone Balance is a daily meditative practice, for me like a form of yoga. Artistically, it also makes a clever subject for a whole new dimension of landscape photography. Widewalls: Can you explain a process of creating one of your works? How long it usually takes, and what are the main challenges you face? MG: The main challenges are usually wind. But each unique environment presents a unique set of conditions or challenges. Sometimes the process can take 30 minutes. Other times it can take many hours or even days to reach a creation I am satisfied with. 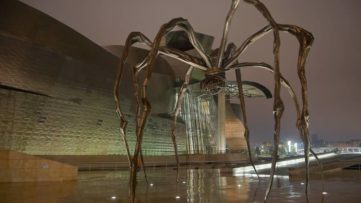 Widewalls: Throughout history artists experimented with forms, materials, and even gravity in their artworks. Where would you situate your art? 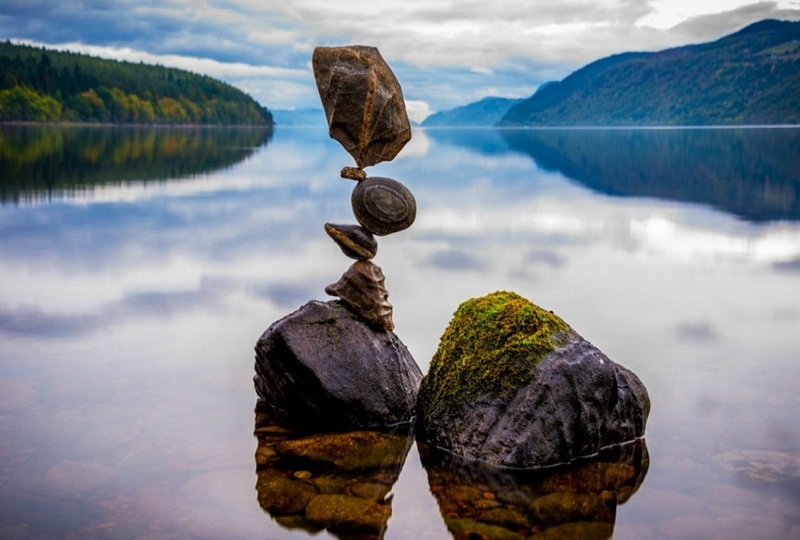 Can we talk about rock or balance sculpture? 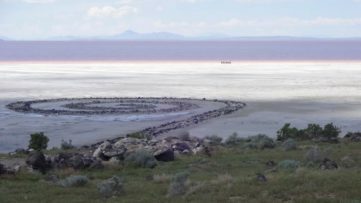 MG: I consider stone balance as a subgenre of Land Art. It can’t really be defined as anything else because the art form itself is relatively subjectless. 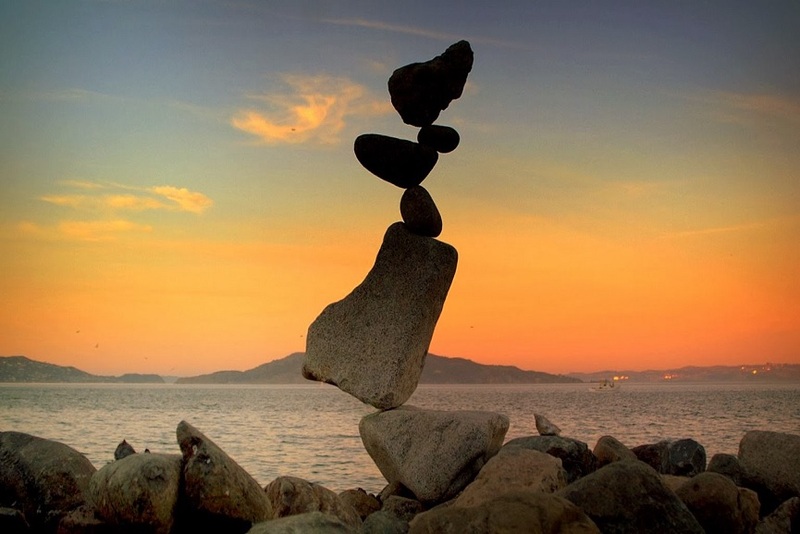 Stones in balance are nothing more than that, but they inspire countless philosophical contemplations. Widewalls: Would you consider balance as your main ‘material’? MG: I consider my particular materials of choice to be rocks, but most things with mass can be balanced. 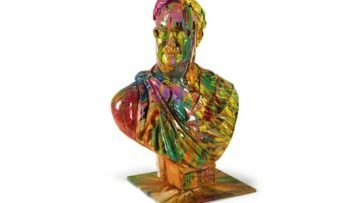 Widewalls: What initiated you interest and propelled you to do this type of sculpture? MG: I found it mostly through serendipitous accident. And then it became a therapeutic experience I enjoyed doing as much as possible. Widewalls: What is of more importance to you – the creative process or the final sculpture you create? On your webpage you mention that creation is a meditative process for you. How this translates into artistic terms? Would you consider yourself a performance artist? MG: Both aspects are important to me as an artist. 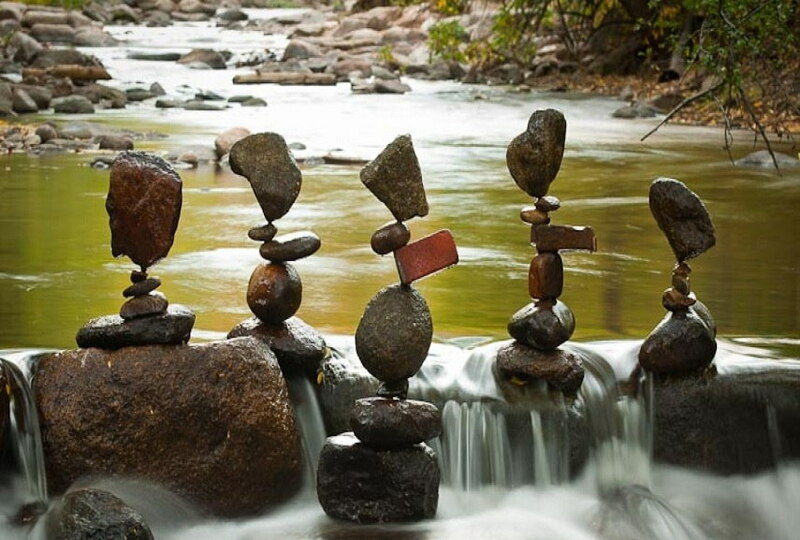 Stone balance is unique in that it is a fairly involved meditative practice to even realize my creations. I often become more attached to final pieces that challenged my skill the most at the time of creation. 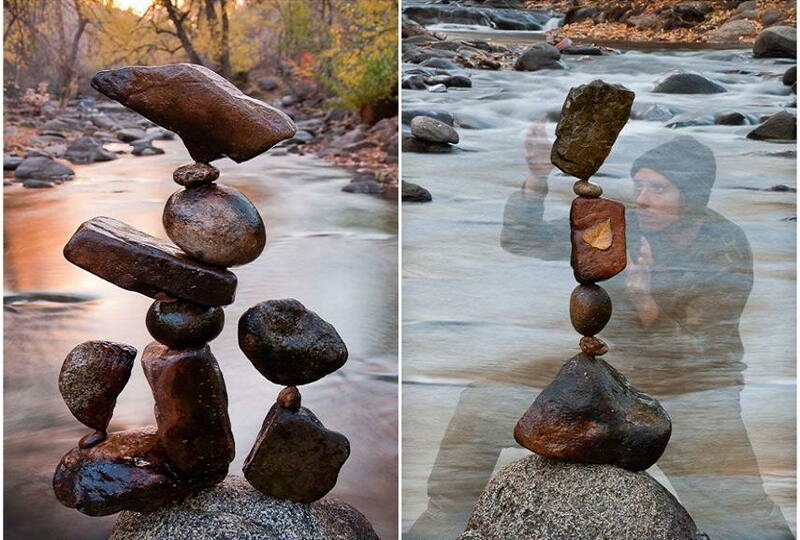 Stone balance is also an inherently outdoor art form, which means it often happens in public places wherever I find rocks. SO it quickly turned into a performance art for me as people would stop and watch my process. I’ve received many reports of people being able to feel the meditative process through watching me work. In my experience, the process itself is what interests people the most. But also seeing such an unbelievable final product is why most people are so fascinated with “HOW” it’s done. Widewalls: Do you ever have the public present while creating? MG: Yes sometimes. I also have been contracted to do live performances at events around the world…including the World economic forum in Switzerland. Widewalls: What happens after you finish with a work? MG: Usually I spend much time photographing it. Stone balance is also a unique art form in that it depends on photography to be able to share it with the majority of my followers. So the photography becomes just as meticulous sometimes, regarding compositions, and dealing with all the unique circumstances in different settings… like rain, or snow, or direct sun… And then usually when I’m finished recording my work, I take them down and “leave no trace”. Widewalls: Are you concerned about the ephemerality of your works? Were you able to find a niche for what you do in the art market? MG: I wouldn’t really consider myself involved in the “art market”… As far as offering a service involving ephemeral creation – I’ve more or less created my own market for my skills. 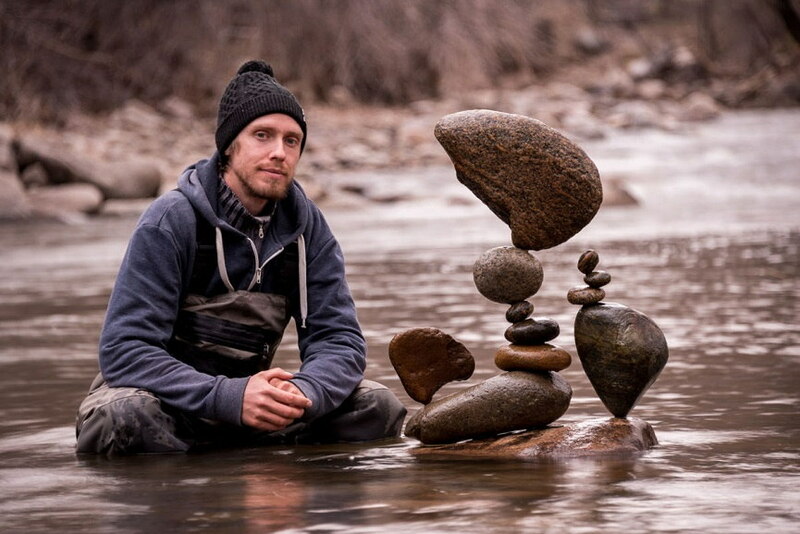 Since professional stone balance is a relatively rare occupation, I’ve been able to carve my own niche from the beginning via extensive media coverage, international live performance, word of mouth, and relatively advanced technical skill in the realm of balancing objects… But the thing is, I’m NOT trying to sell anything, I simply follow my curiosity and passion. I feel a need to create every day. For myself. And since I began sharing my work online, people began really connecting with my work naturally… fast forward to today and I find myself sharing with exponentially more fans than I ever thought possible… but it’s mostly from just doing my thing and genuinely loving what I do. Featured images: Michael Grab with his work. Image via nwitimes.com; Michael Grab’s Rock Sculpture. Image via 4rtgallery.blogspot.com; Michael Grab’s Rock Sculpture. Image via thisiscolossal.com. All images used for illustrative purposes only.